It may seem a little crazy to be planting blueberry bushes in our home garden when we live in the middle of one of the largest commercial blueberry farm growing areas in Canada, but; our home bushes will be grown organically with berries in season from mid Summer until Fall and we hope to pick delicious organically grown berries daily for breakfast topping on cereal or for dessert with yoghurt! The bushes are easy to grow and not susceptible to many disease and insects. Read on if you need to be encouraged to plant your own. 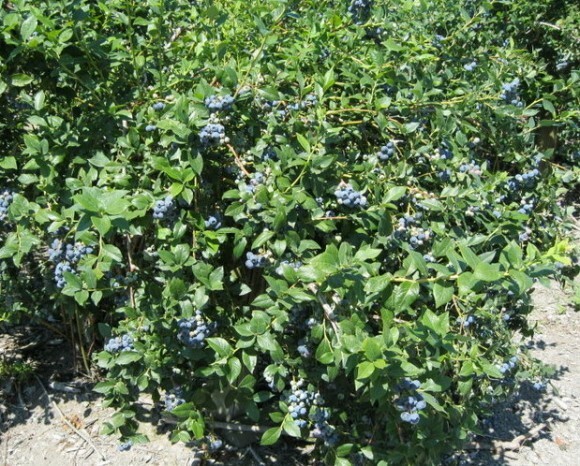 Patriot which grows medium height to 5 ft.
Blue Crop is the most well known variety and is very productive. Bushes should be winter hardy for our climate. Grow in sun and partial shade. 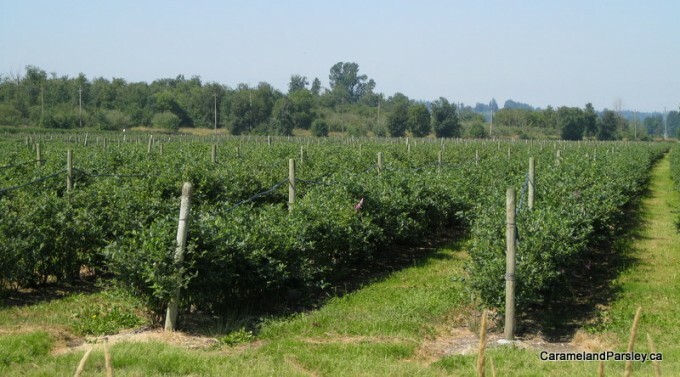 Three different varieties were selected as the nursery where they were purchased said that yields are often higher when more than one variety is grown (due to cross pollination). The ripening times of the fruit are different allowing for fresh, organic berries throughout the summer from mid July to October. 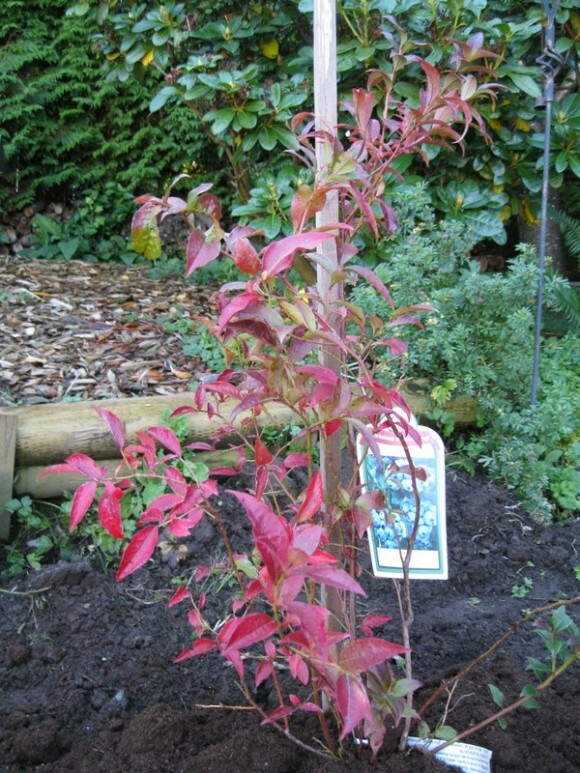 Two of the varieties purchased have dark red leaves in the Fall so they will look most decorative in a sunny corner of the garden. 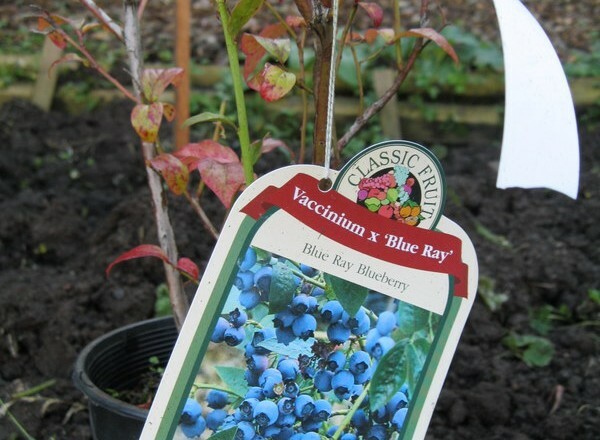 A highly recommended fruit to grow if you are unable to plant full or dwarf sized fruit trees.